Unless you’re into carrying a man-purse, it’s hard to be a guy and keep all of your necessary stuff at hand. 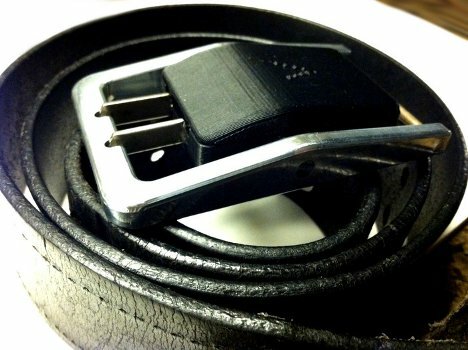 Phone chargers are a particularly sticky problem – literally, because those suckers will stab you mercilessly in the thigh if you try to carry them in your pocket. The Volt Buckle is an innovative solution. This innocuous belt buckle actually transforms into a fully-functional phone charger that will work on your iPhone or USB-charged device. 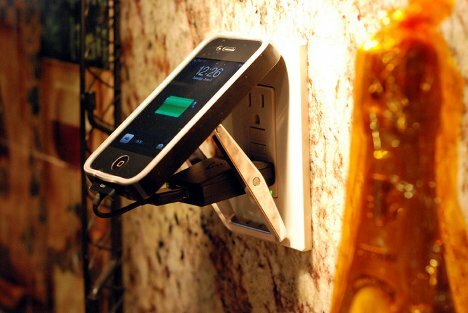 It docks your device in style right up against the wall outlet. 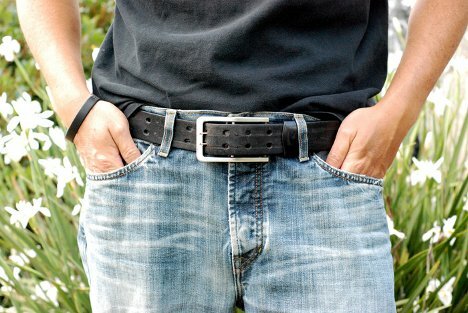 Meanwhile, a special hook on the belt itself keeps your pants on while your buckle is otherwise occupied. Future versions of the project may include support for a wider variety of devices as well as a women’s version. As of the time of publication, the project is seeking funding on Indiegogo for an initial production run. See more in Phones & Mobile or under Gadgets. July, 2012.